December is a busy time in any Parish Church as we prepare for the birth of Jesus Christ on Christmas Day. There are many different services and we do hope that you will be able to join us over the coming weeks. Sunday 7th December at 9.30 am: We are holding our Parade and Toy service and we particularly welcome all young people. Come and find out more about St Nicholas. Please bring an unwrapped toy which will be distributed by Welcare to disadvantaged children in time for Christmas. Tuesday 9th December at 7 pm: We welcome the Deputy Mayor of Bromley, Councillor Kate Lymer, to our Civic Carol Service. This service will be attended by many representatives of local organisations. Christmas reminds us of the needs of the world, so it is right that at this season we give heart-felt thanks for all who seek to respond to the needs and concerns of the people in our borough, through their selfless work in the service of the public, whether in their elected offices, or in their work, employed and voluntary. The collection from this service will go to support the work of the Mayor’s charities, Bromley Community Fund and CONNECT. The service will be followed by refreshments and all are very welcome. Sunday 21st December at 6.30 pm: Our traditional ‘Nine Lessons and Carols’ service with carols for choir and congregation together with the traditional Christmas readings. Wednesday 24th December at 4 pm: We are holding our Christingle service. At this service, which is particularly for children, everyone will be given a Christingle which will be lit during the service and may then taken home to light again on Christmas Day. Youngsters from All Saints’ will also tell the Christmas story with a Nativity tableau. The collection from this service will be given to support the work of the Children’s Society. Advent, the start of the Church’s year, is the 4 weeks leading up to Christmas – a time of preparation for the coming of Jesus Christ at Christmas. It is traditionally a time of repentance and reflection that offers some respite from the frenetic pace of modern materialistic life, particularly in December. We started our Advent at All Saints’ with a Quiet Morning on Saturday 29th November from 10 am to 1 pm. This was a chance to take a break from our busy lives and think about the real meaning of the Christmas Story. At 5 pm there was be a service designed especially for busy people. Then on Sunday 30th November we heldan Advent Carol service at 6.30 pm. This service is a mix of readings and Advent music led by our choir. 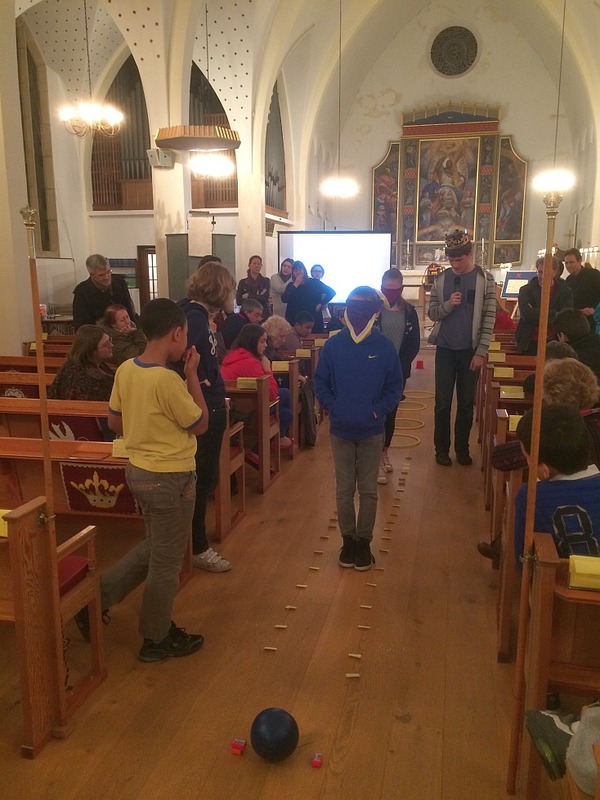 On Sunday 23rd November we held a successful Youth Service. The service was organised by the young people themselves with the theme of ‘King of Kings’ and trust. The next youth service will be on Sunday 22nd March. On Saturday 15th November the Orpington Video and Filmmakers presented an evening of short films in the church hall from 7.30 – 10.00 pm. This was an entertaining mix of comedy, documentaries, travelogues & drama which provided a fun evening for all the family. A jacket potato supper was provided. The evening raised approximately £480 for church funds. There are two occasions each year to remember, and give thanks for, the lives of loved ones who have died. On Sunday 26th October at 3 pm we held our annual Memorial Service. 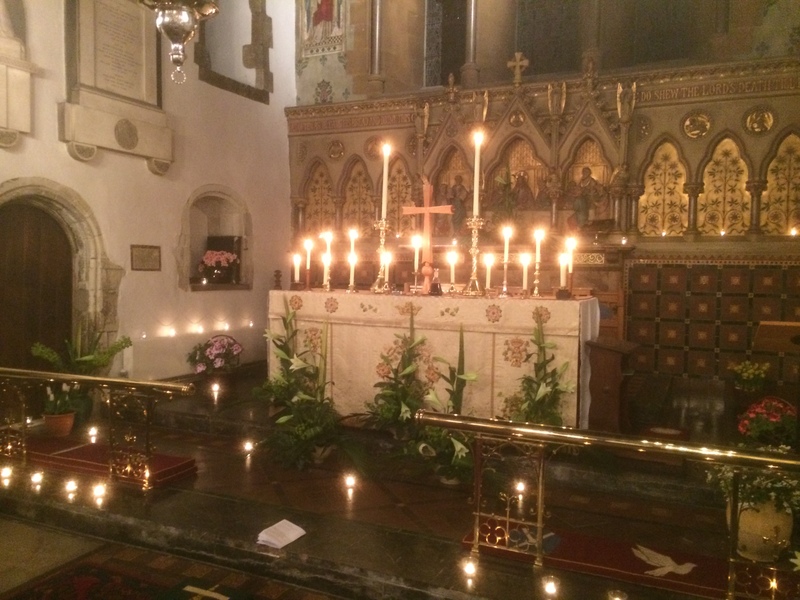 During the service the names of the departed were read out and there was an opportunity to light a candle in their memory. On Sunday 2nd November at 6.30 pm an All Souls’ Requiem Mass service was held, which included music from the Requiem by Gabriel Fauré sung by the choir. Over the harvest weekend of 4th and 5th October, All Saints’ held a Scarecrow Festival. 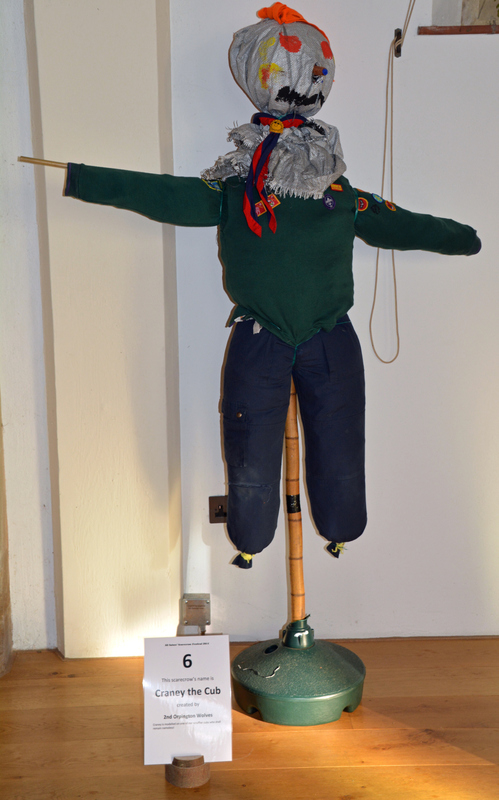 There were 15 scarecrows displayed in church. The favourites, voted for by the visitors, were Craney the Cub by the 2nd Orpington Wolves and Playing the Field by All Saints’ choir. 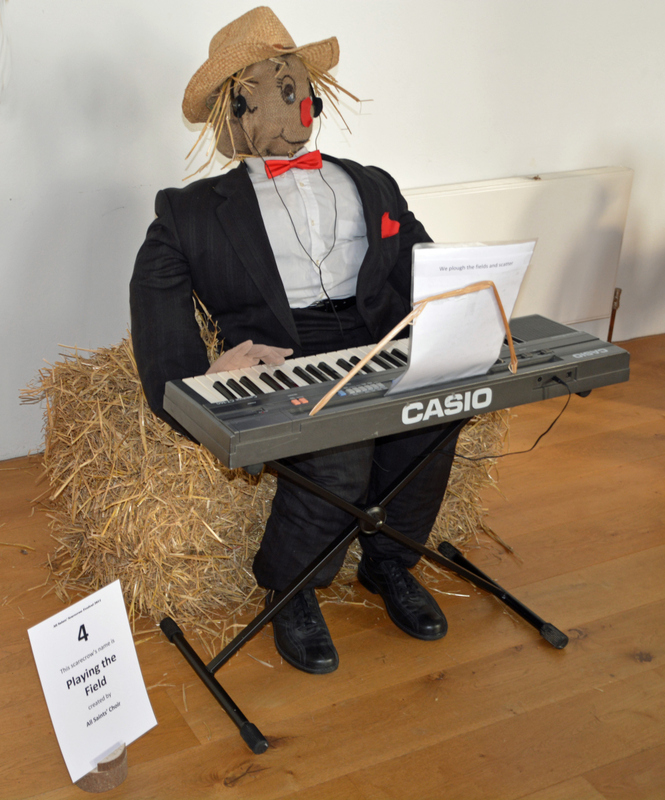 All the scarecrows can be seen in the 2014 gallery. Members of the church went to Tanzania in October with SEEDS4Tanzania. We recently received a report of the Scouts expedition to Tanzania in July, which can be read Summer Newsletter 2014 Final. As usual, there is a lot going on at All Saints’ in September. One highlight is on Sunday 14th September when, in a service led by the Bishop of Southwark, we welcome to All Saints’ the Reverend Cathy Knight-Scott, our new Curate. 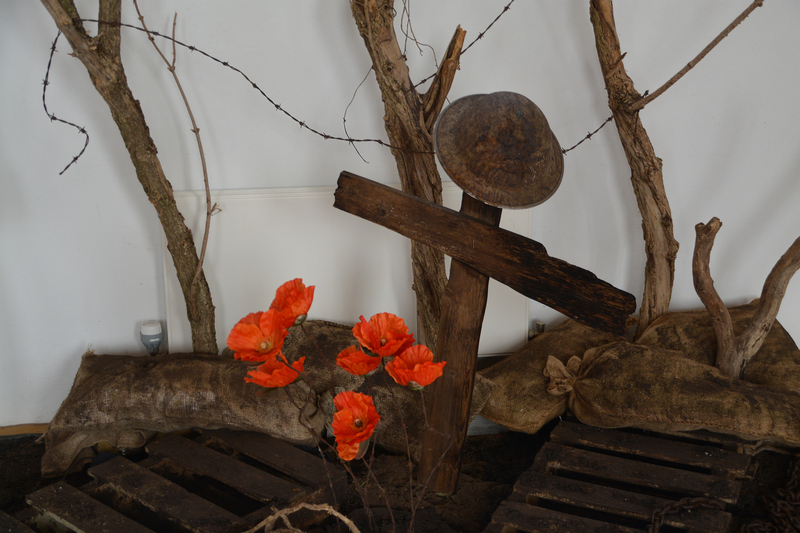 In August we took time to commemorate those fallen and their friends and families in the First World War. All Saints’ was honoured to host a short visit by Archbishop Jacob, on 30th May. The Archbishop was on a tour of our diocese of Rochester. His home diocese is Mpwapwa in the centre of Tanzania. Seeds4Tanzania, which we support, is building pre-schools in two villages in the diocese and All Saints’ is now linked to the church in the villages. 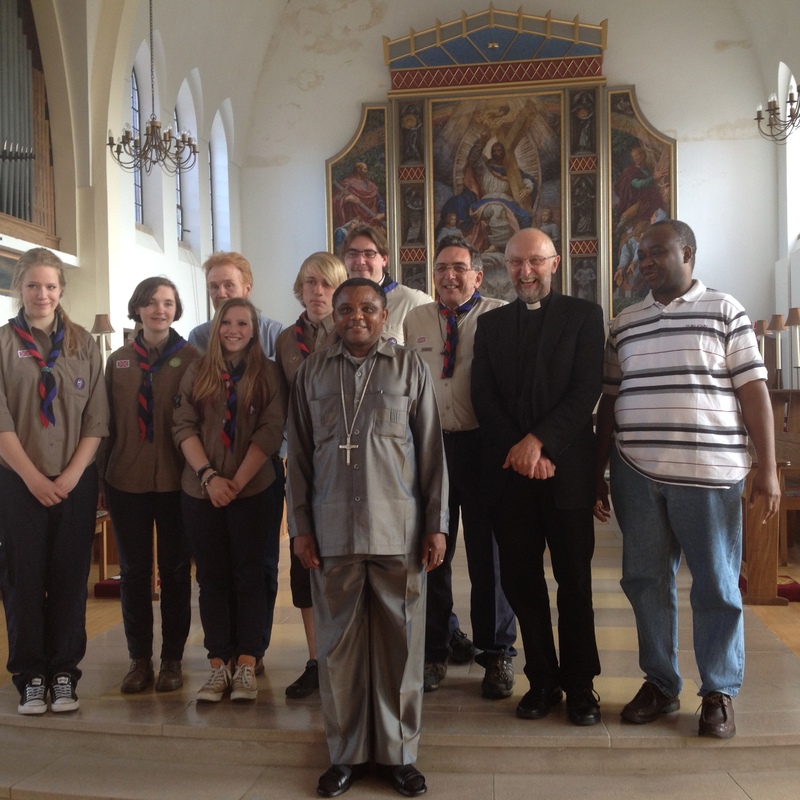 The Archbishop met some of the explorer scouts who are going to Mpwapwa in July to work on projects there. He also met members of our Link Committee, the churchwardens and the co-ordinator of “Tots” (which fund-raises for “Seeds”). He was delighted by our support for the church and people of Tanzania, where there are many problems, but there is also a vibrant and exuberant Christian faith. We were blessed by Jacob’s visit. All Saints’, as ever, had a very busy May. One highlight was the annual Beating of the Bounds (the Parish boundaries), as shown in the photos above. 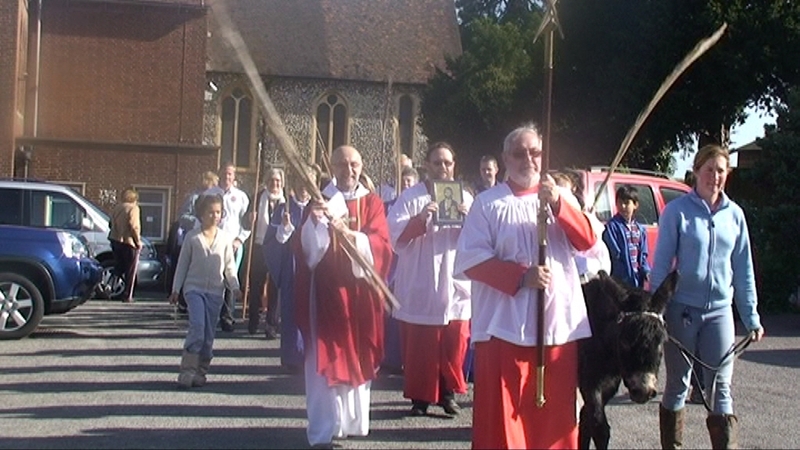 In April, we celebrated Palm Sunday once more in the company of Solomon the donkey, as you can see from the photo above. Easter has also been marked in several ways, as can be seen in the photos above. Here, above, is a new photo of the beautiful Altar and Garden of Repose after an evening’s liturgy in April. As April begins, we are well into the observance of Lent. We are also into the start of the wedding season, and with some fine weather to accompany it. Very sadly, we said farewell in February to the late Valorie Best, a lady who had been part of All Saints’ community and the Mother’s Union for many years. May Valorie rest in peace and rise in glory. 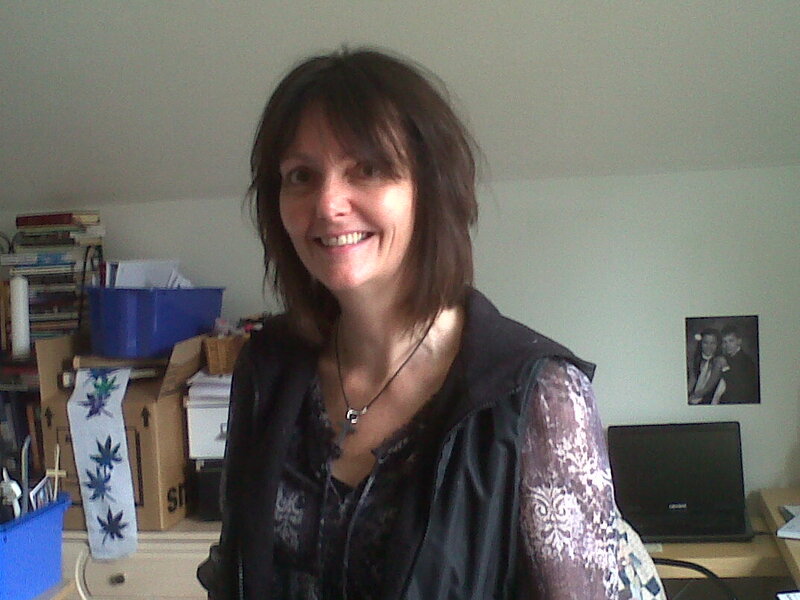 On 20th March, we see the opening of Messy Church. We hope that many young people will enjoy these sessions then and in the future. 2014 is the 100th anniversary of the outbreak of the first World War. We are preparing some suitable steps to mark that anniversary. Happy New Year! As you might expect, December was a very busy month, and one that started very well indeed on the 1st (the First Sunday of Advent) with the Advent Carol Service and the Licensing of the Reverend Jenny Driver as Associate Vicar of All Saints’, who we are delighted to welcome to our church community. Sadly, the all-too-seasonal stormy weather meant that we lost one of our ancient trees in the churchyard, though of course the church is more than bricks and mortar, or indeed trees. Thus it is that we start the year, appropriately enough, with the Letter From The Vicar setting out some New Year’s resolutions to aspire to. In other news, change is afoot for our parish magazine, see below. All Change for Saints Alive! You will know that Gerald Holmes is stepping down from the administrative role in the magazine team (see March 2013). Caroline Bloodworth, our Parish Administrator, was happy to extend her current role to cover the administration of the magazine. I thank Gerald profusely for his almost 17 years of managing and producing Saints Alive! He has been dedicated in this voluntary task, seeing it as a significant part of his Christian discipleship. He now deserves a bit of a rest, although he is continuing for the time being to be our honorary church printer, for which again many thanks. The other key change is that Paul Hiscock is stepping down as co-editor of Saints’ Alive after five distinguished years in the role. We have benefitted from his gentle and wise leadership of our magazine. Thank you Paul! We prepare to welcome Caroline Osborne and Liz Walton as our new co-editors, working alongside David Scrivener who will continue as a co-editor. There will be no magazine next month. The new Saints Alive! will hit the bookstands in March.